The article has been republished from India Spend, January 21, 2017. Image: Madia Gond tribals in Surjagad village, Gadchiroli district, in south-eastern Maharashtra, congregate for the annual pre-harvest festival. This year, as they sat huddled around festive bonfires, they discussed the big push being given to mining activity in the region by the Maharashtra government. 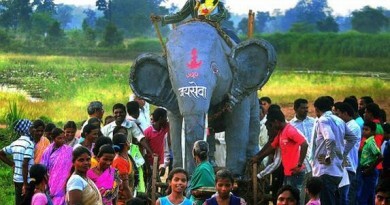 Etapalli and Bhamragad talukas, Gadchiroli (Maharashtra): Over two nights in early January, Madia Gond tribals–or Adivasis, as they prefer to be called–of south-eastern Maharashtra gather every year in a clearing to celebrate their pre-harvest festival. They sang, danced and feasted on pork and mutton, as they worshipped their deity, Thakur Dev. 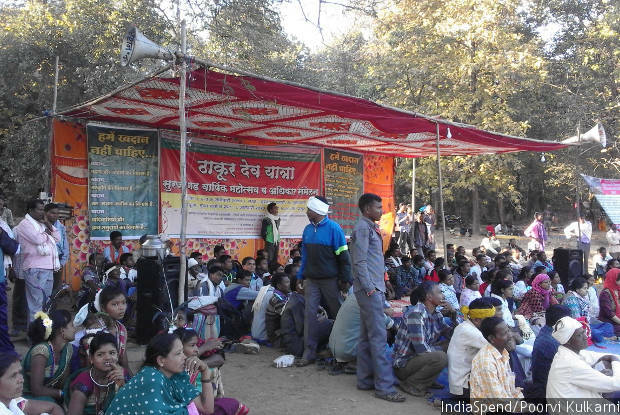 This year, there was disquiet among the 1,000 Adivasis who had congregated here from 70 neighbouring villages. As they sat huddled around festive bonfires, they discussed the big push being given to mining activity in the region by government of India’s richest state, by state gross domestic product (GSDP). On December 23, 2016, 80 trucks and an earthmover were burnt, as The Telegraph reported, 20 km from the festival site, allegedly by Maoists opposed to mining projects revived after nearly a decade. In 2016, the state asked companies that had halted mining–in the Madia Gond village of Surjagad–for fear of naxal attacks to resume work. 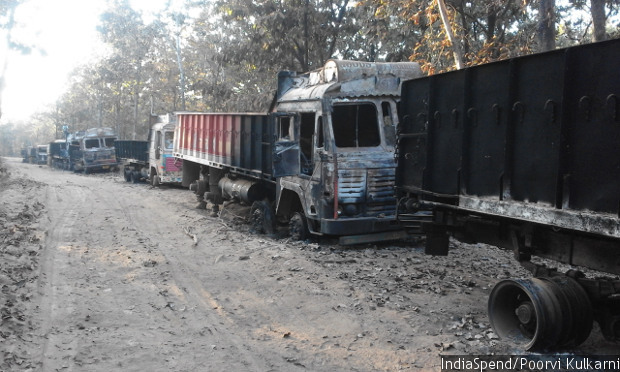 On December 23, 2016, 80 trucks and an earthmover were burnt 20 km from the festival site in Surjagad, in Gadchiroli district, allegedly by Maoists opposed to mining projects revived after nearly a decade. Surjagad is in Gadchiroli district, on a swathe of land that bears about 60% of Maharashtra’s mineral wealth, which includes 17 minerals–including coal, limestone, iron ore and manganese ore–with reserves of 5,753 million tonnes, or 22.56% of India’s mineral reserves. 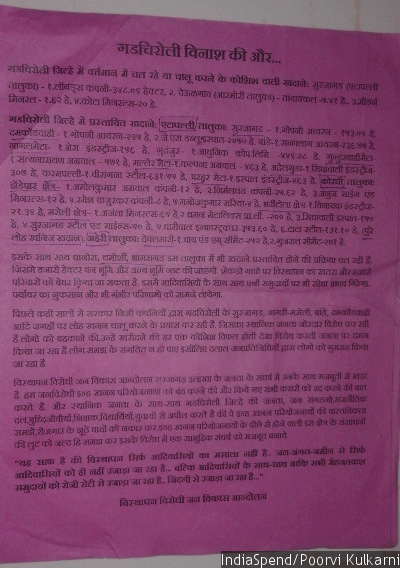 A copy of the pamphlet being distributed at the annual pre-harvest festival in Surjagad, in Gadchiroli district, about fresh mining projects coming up in the area. “We believe that distinct worlds of people, animals and other living and non-living things inhabit forests, hills, rivers and rains. If these elements of nature are disrupted, the world we inhabit too will be destroyed,” said Rama Mahaka, 40, the bhumiya (village priest) of Bejur village in Bhamragad taluka. Resource conflicts are an intensifying and under-acknowledged phenomenon across the coal-rich farms and forests of central and eastern India–a mineral used to generate over 60% of India’s power. Few urban Indians know or think about these pitched battles unfolding almost every month in rural, often remote, areas of their country, as IndiaSpend reported in September 2014. Half of India’s top mining areas are in tribal lands, such as Gadchiroli. Between 2011 and 2014, 48 mining leases were approved in tribal areas across the country by the union ministry of mines. The average proportion of forests in India’s mineral-producing districts is 28%, more than the national average of 20.9%, and mining invariably leads to their depletion and displacement. Much like the Adivasis of Surjagad, tribal communities in Chhattisgarh’s Korba district, Andhra Pradesh’s Visakhapatnam district and Odisha’s Khandadhar Hills, all regions rich in minerals, have united against mining projects. They refuse to buy the argument that mining will lead to employment generation and development. They are also angry that their gram sabhas, or local village councils, were not consulted when mining licenses are given out. In a 2007 paper, academic Walter Fernandes estimated the number of Indians displaced between 1947 and 2000 to be 60 million (other estimates put it at 65 million), with 5 million of these displaced by mining. Citizens living on India’s margins comprise the bulk of our displaced–for example, adivasis or tribals are 8% of the population, but make up 40% of the displaced, according to the Planning Commission’s 12th Plan document. The graph above uses some state-wise estimates from Fernandes’ paper, which does not include data from the mineral-rich areas of Maharashtra, Madhya Pradesh and Chhattisgarh. Since it came to power in May 2014, the government of the National Democratic Alliance has moved to boost mining and industrialisation, altering laws to remove consent from local-government institutions. For example, the ministry of environment and forests did away with the requirement of public hearings, as part of the environmental clearance process for some projects, such as mines seeking expansion–a move that was begun by the United Progressive Alliance (UPA) government towards the twilight of its regime. Similarly, one of the first things then rural development minister Nitin Gadkari did on assuming office was to dilute gram sabha consent and social-impact-assessment provisions in a land acquisition law passed by the UPA in January 2014, replacing its colonial-era predecessor, in force since 1894. This note, prepared by Gadkari’s officials, details the government’s thoughts on gram sabha consent and expanding exceptions to the law. 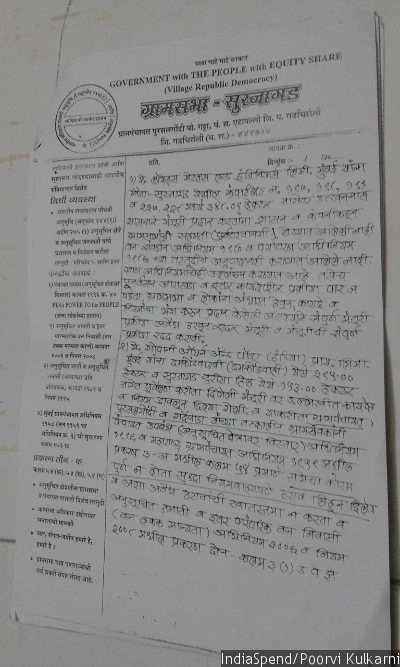 “We appeal to the government to not destroy our traditional community resources and biodiversity by digging mines in our forests and hills in the name of employment generation for locals,” read a resolution of the 70 gram sabhas of Etapalli taluka, Gadchiroli district, sent to the governor of Maharashtra through the district collector last year. 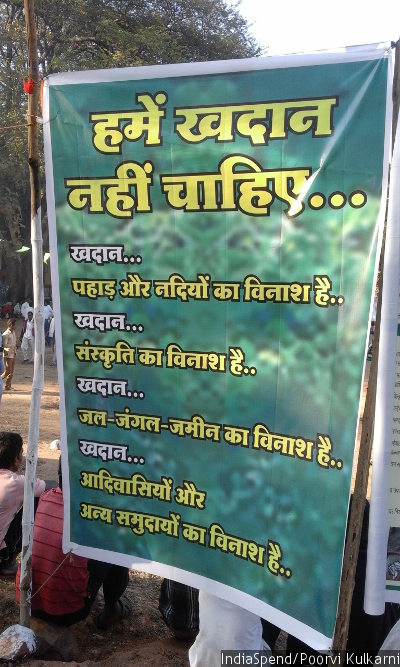 A banner denouncing the coal-mining projects is displayed at the annual pre-harvest festival in the Madia Gond tribal village of Surjagad, in Gadchiroli district, Maharashtra. 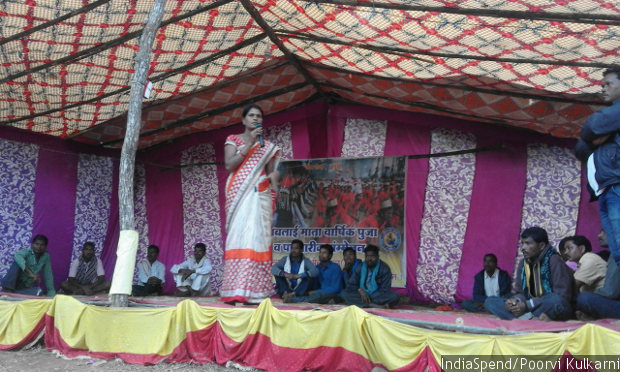 Rajashri Lekame of Bhamragad Patti Gotul Samiti, a traditional group of local leaders and gram sabha committees’ chairpersons, speaks to villagers during the annual pre-harvest festival. “This is the first time we are using the festival to discuss issues relating to livelihood and rights,” Lekame said. The gram sabha resolutions passed last year have not elicited any response from the government. 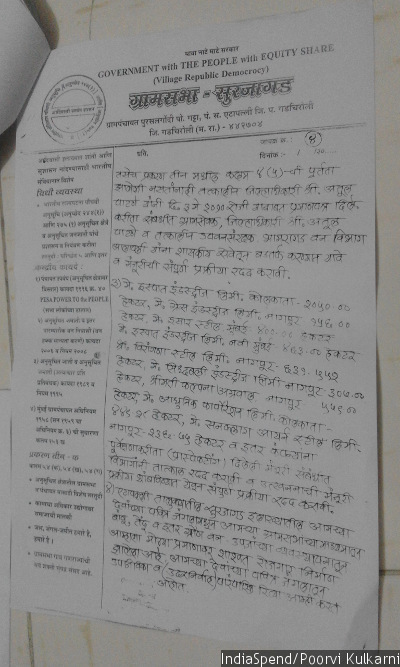 Gadchiroli collector ASR Naik said he did not clearly remember. “There may be many letters/ resolutions addressed to different entities,” he said, in a text message to IndiaSpend. “I would have to check all of them,” he said. Section 4(k) of The Provision of the Panchayats (Extension to the Scheduled Areas) (PESA) Act, 1996, makes it mandatory for gram sabhas to be consulted before mining lease is awarded for minor minerals in schedules areas. As per Maharashtra government’s Regulation of minerals, minor minerals include stones used for making household utensils, building stones, gravel, marble, kankar, etc., and major minerals are those used for other industrial purposes–coal, manganese ore, iron ore, bauxite etc. Naik said, as per the Mines and Minerals (Regulation and Development) Act, 1957, iron ore mined in Surjagad is a major mineral. “I think the authority to which the letters are addressed would take appropriate decisions,” he said. 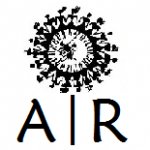 Researchers who have been working on documenting the biodiversity conservation and management practices of Adivasi communities held the same view. 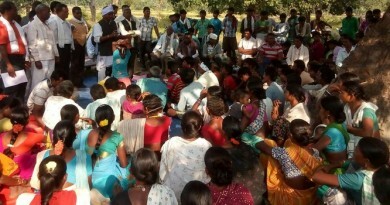 Broome, who is helping the Madia Gonds in Gadchiroli document their economic, educational and social systems, was speaking to a group of manjis (village heads) from Surjagad during the festival. The aim, she said, should be to allow Adivasis to plan for their own development. Some researchers also pointed out that Adivasis use simple and effective tools for their daily needs such as theles (fish traps) and dhenkis (rice huskers) that need to be brought into the mainstream discourse. “Instead of being dismissed as undeveloped, the knowledge-base of their practices needs to be documented, understood and incorporated by mainstream society,” said Harshit (he uses one name), who co-founded the Facebook page, Humans of Gondwana, in September 2015. Jatare believes that along with forest rights, Adivasis must also be given their cultural rights. “There is a rich tradition of barter and collective work that is prevalent in our societies which is still completely distinct from and is preferred by us over mainstream economic practices,” he said. People here are also caught in the crossfire between Maoists and the state. “The situation is very tense and difficult here now as we are opposing mining and so are the Maoists,” said Lalsu Nogoti, a lawyer who practises in the Aheri civil court. Many believe that even before physical eviction from their homes takes place, Adivasis would leave their homes themselves if the forests are destroyed. No more than 9.35% of Chandrapur district belongs to scheduled tribe (ST), while 38.71% of the total population of Gadchiroli is ST, according to Census 2011. But, Jatare said that there has been a steady decline in Adivasi population in Gadchiroli too since the formation of the district in 1982. To protect water, forest, land, we will hold a gram sabha)”.